Perhaps you've been to Disneyland a dozen or more times and are sure you've done all there is to do, even impressing others with your fake insider knowledge ("The park derives a third of its income through churro sales"). Yet the park may still hold a few surprises for even the most faithful fans. Welcome to Disneyland's only attraction free of tracks, rails or other mechanisms designed to keep you on course. 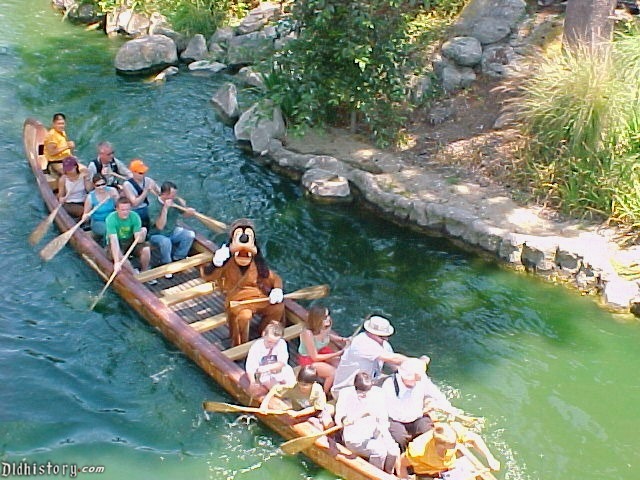 Putting guests in charge of of the free-floating Davy Crockett Explorer Canoes seems unwise, especially when sharing the waterway with large ships. Cast members at the front and rear keep canoes on course, and even if they do topple - and they won't - the water's not very deep. Head to the Animation Academy at California Adventure for a quick art lesson. Classes are every 30 minutes with animators providing step-by-step lessons to create popular, copyright-protected characters. Even those lacking basic art skills with create a recognizable drawing. Just don't get so cocky as to put it on Twitter. Trust me. Imagine purchasing an original work from a Disney animator without cashing in your 401(k). Visit Disneyana on Main Street, where Disney pros occasionally drop in and leave behind various sketches. You can pick one up for a little as $50, though more elaborate drawings are commensurately more. If your family skips its usual amount of $5 churros for one day, you've paid for it (well, that's the way it is with my family). Just to be clear, these plots in a cast-members-only area west of the Haunted Mansion contain no remains, almost disappointing guests who ask in a hopeful voice. (One word: Ewww.) The grassy area just above the attraction's exit once held more than a dozen tombstones, but most were moved to the main queue in 1993. Ask a cast member to show you the "hidden" graves. And no, you won't find Mr. Toad. Perhaps there's wasn't enough left of him after his wrong turn onto railroad tracks, bringing a tragic end to his wild ride. Knowledgeable and nattily dressed guides lead various tours of Disneyland and California Adventure. The best is Walk in Walt's Disneyland Footsteps, a three-hour history tour of the park. You also get a meal, personalized button, collector pin and a couple of rides (you skip the line). Warning: Restless children will dislike the constant stops and how the guide goes on and on and on about so much stupid boring stuff, jeez already. But for everyone else, it's well worth the $109 per person. Are you blessed with a chunk of disposable income? For $1,700, you can buy a private photo shoot in Toontown or Cars Land. You and up to seven others enter the park an hour before opening to meet with a professional photographer. Pose your heart out for 60 minutes, making sure you fill Facebook and Instagram in ways to make friends and followers envious. Have a little more to spend? Mickey, Minnie, Goofy and/or Pluto are happy to join for a price.